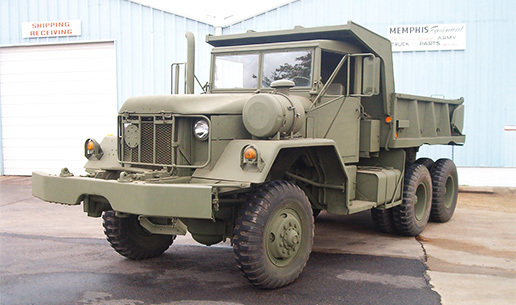 Memphis Equipment has a complete inventory of military vehicle spare parts for sale. 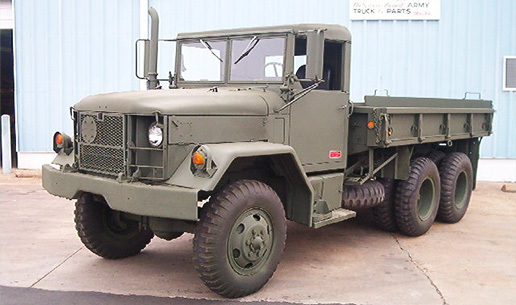 We stock military vehicle parts including engines, transmissions, axles, brake parts, electrical components, cab tops, canvas tops, doors, hoods, fenders, replacement cab panels, and military tires. Our inventory consist of new, rebuilt and n.o.s. military surplus vehicle parts. Parts availability is the least of your problems. 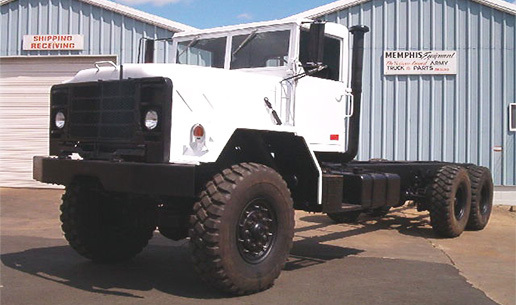 Let our experienced military vehicle parts department staff assist you to keep your military 4x4 or 6x6 truck working. 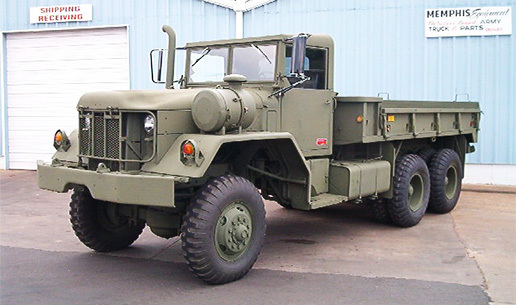 Memphis Equipment offers military 2 1/2 ton 6x6 trucks and 5 ton 6x6 trucks in reconditioned and remanufactured categories. Our service department staff with numerous combined years of experience, turn out quality trucks that are guaranteed. If you need an all wheel drive truck for a tough off the road job, we can build like no one else. Our service department can also assist you with helpful advice when working on your military vehicle. Multiple shipping options are available to our customers. Parts orders can be shipped by U.P.S., FedEx or U.S.P.S. Next day and Saturday services are also available. Heavy items can be shipped by several major truck lines at competitive rates. We operate our own tractor/trailer to deliver trucks we build. International shipping is also offered for both parts and trucks. Memphis, TN is the "distribution hub" of America. This assures you of fast and consistent service.